​In the early 1990’s, 6 String Drag formed in Raleigh, North Carolina. The musical landscape of the time wedged Alt Country and Americana between Rock and Folk music as subsets of both. Though still considered a niche market, with a set-marketplace, the lack of musicians on the Roots bandwagon provided more opportunities. 6 String Drag frontman Ken Roby recalls ‘there was a feeling back then of promise and that you might actually make a living at music someday. I’m not sure if 6 String Drag ever expected to play any stadiums, but we thought me might make a living in an NRBQ kind of way’. Decisions sidelined 6 String Drag by the end of the 1990’s. 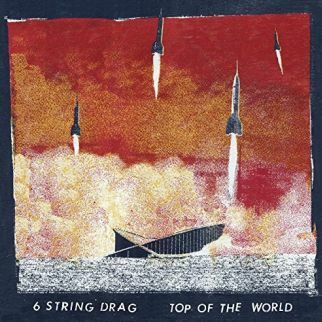 The band flies again under the 6 String Drag banner, planting the flag of Rock’n’Roll on Top of the World, their recent release.